Put your money where your solidarity is. we just led the largest ever protest of bank financing of fossil fuels. And now we need your help to amp up our bank boycott. Divest Yourself: Go to bankongood.com/mazaska to sign up for personal text message reminders to divest yourself and go to our Divest Yourself Tab to find B-corp banks, Native-owned banks, and more banking & investing options. Divest Your Community: review the 6 questions to help you divest your community. Divest Your Institution: get your organization to join the 60+ organizations (see blow) committing to divesting themselves within the next year. Tweet your favorite celebrities and ask them to support the 150 Nations and Tribes part of the Treaty Alliance Against Tar Sands Expansion (@Treaty_Alliance). Share the video below to amplify our call to action. 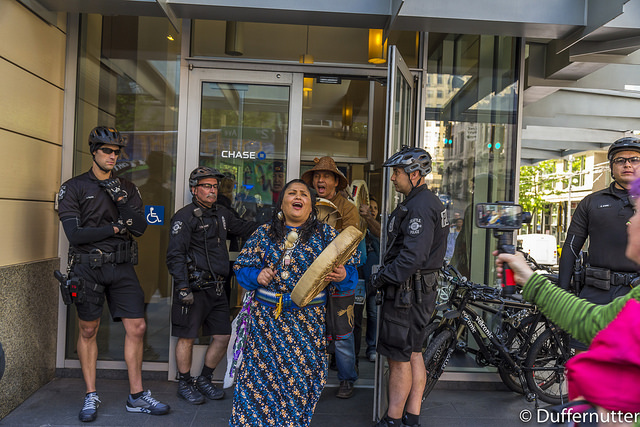 Oxy 350, SoCal 350 Climate Action Mr.
Seattle: Broke ties with Wells Fargo over DAPL-funding. Passed a Council resolution stating that it would not bank with any bank that funds the Keystone XL pipeline. Has secured funding for a public bank feasibility study. San Francisco: Passed a Council resolution stating that it would choose banks not funding DAPL over those that did. 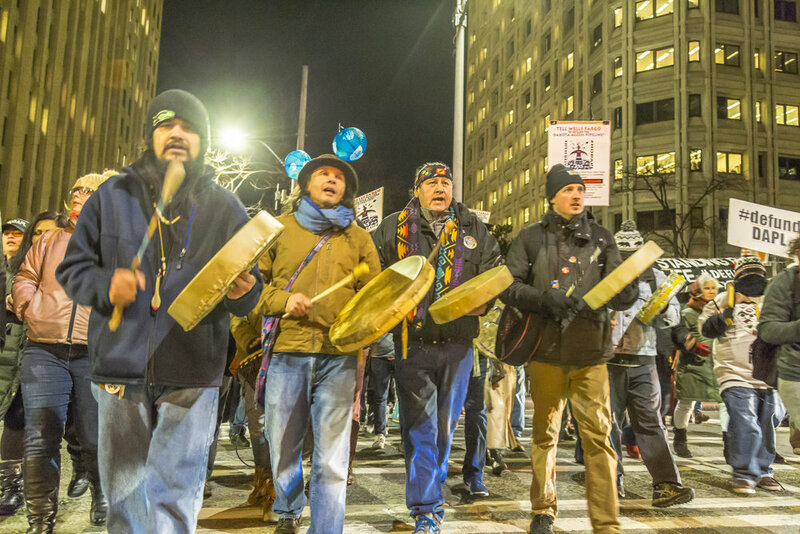 SF Defund DAPL Coalition started a people's task force on public banking. 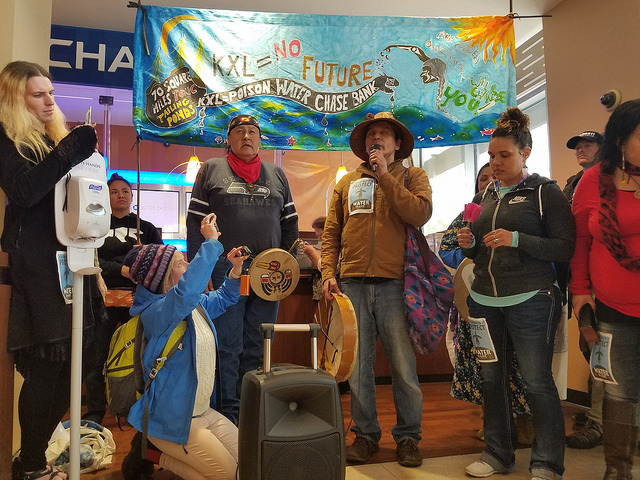 Oakland: Has commissioned a $75,000 study into a public bank; largely in response to pressure from #NoDAPL activists. To divest your organization within the next year. And now we need your help to amp up our bank boycott. Pledge to divest your NGO, business, faith/ethics community, or town to divesting within the next year.